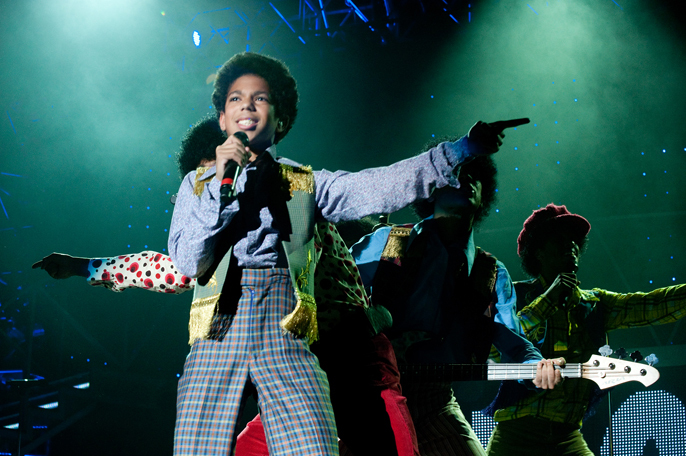 Producers of the hit West End show, Thriller Live, are launching an academy to train young boys to take on the role of singing the songs of young Michael Jackson and the Jackson 5 in the show, which will celebrate entering its 5th year in the West End in just a few weeks. The MJ Academy will open its doors for the first time on Friday 9 November. Would-be MJs will get classes in singing and dancing every Friday between 5pm and 8pm, with terms lasting three months. Budding MJs will get music tuition from the show’s Musical Director, John Maher, who will also have creative responsibility for the school. Dance classes will be taken by Dannii Hampson, and the show’s resident director, Britt Quinton. Each child will have to commit to 3 months of ‘training’ and at the end of the 12 weeks, a full audition will take place with the show’s award-winning director, Gary Lloyd, creator Adrian Grant and producer Paul Walden. There is no charge for the Academy once a boy has been accepted, but parents will be responsible, at their own cost, for getting pupils to and from the sessions each week. Thriller Live casting director Debbie O’Brien said: “We need at least 6 boys at any one time in the West End and the show is still touring around the world. The sad fact is that as soon as a boy’s voice breaks, he can no longer stay with the production, so we have a high turnover. Candidates for the MJ Academy can have had no stage experience whatsoever. We are looking for boys who are exciting, confident and energetic. They need to be of black or dual heritage, aged 9 - 14 with an excellent unbroken pop/rock voice with a high range. They must be prepared to sing either "Ben", "I Want You Back" or "I'll Be There" at an initial audition to see if they are suitable for the Academy.